Jim Wangers 80th birthday was celebrated by all at Norwalk. 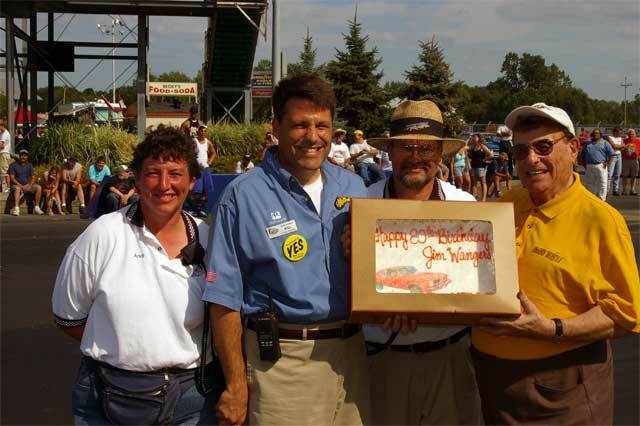 Here, Jim (far right) is presented with a birthday cake by Andi, Bill and Pete. Contact webmaster@amesperf.com with questions or comments regarding this site. Copyright 2004 Ames Performance Engineering.